I am happy to announce that I recently added a beautiful new hyperbaric chamber to my practice and that the chamber is now available for anyone wishing to book sessions. 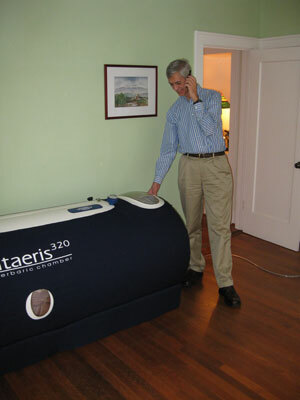 If you are an expert, the chamber is a Vitaeris320 and you can see it and read about it here: http://www.oxyhealth.com/vitaeris-320.html. This chamber is spacious and provides plenty of room for a child and a parent together, or for an adult lying or sitting comfortably. My goal in getting the chamber is to make this form of treatment available at my office, and most importantly to make it available at prices that people can afford. 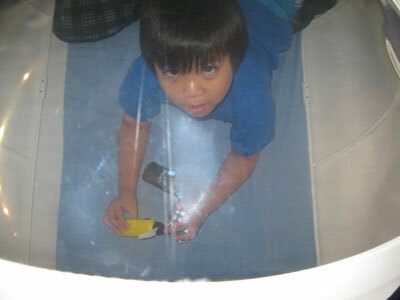 The hyperbaric chamber is roomy and comfortable inside. A few readers may remember that I used to have a similar, though smaller, chamber at one time in my office. In those days little was known about the benefits of these chambers. In spite of my recommendations, few people were interested in using it, and finally I sold it at a hefty discount to a patient who had benefited greatly from it, and discontinued this service at my office. 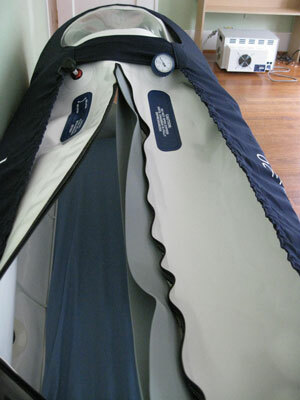 Today there is a great deal more research substantiating the benefits of this type of “mild hyperbaric chamber”. These chambers are termed “mild” because the atmospheric pressure in them is raised only slightly to approximately 1.3 times surrounding pressure. These chambers also do not run on pure oxygen but on filtered air enhanced with additional oxygen from an oxygen concentrator. Many people used to think that because they are called mild these devices are not true hyperbaric chambers and do not provide legitimate benefits. Today this debate has come to an end and we know through research and countless testimonials that there is nothing “mild” about the benefits that can be derived from using these chambers. 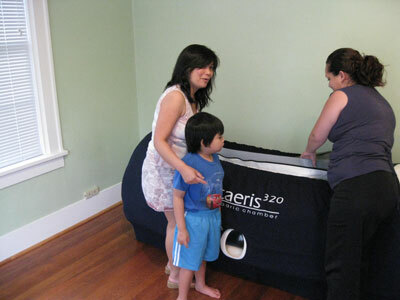 Mild chambers are extremely safe and can be used with no particular concerns by just about everybody, including small children. When one is in them the ambient pressure is raised slowly and this leads to the ears popping a few times. Once the pressure levels off one doesn’t feel anything particular. A mother and her child can share the experience together. At this higher pressure oxygen becomes more concentrated. As a result it is absorbed in blood and throughout the tissues of the body at a higher rate. Oxygen promotes improved function and healing, so the first benefits one will experience are more energy, clearer thinking, and faster recovery from injury or surgery for example. One of the most widespread applications of these chambers is for athletes as both recovery between events and recovery from injury speed up dramatically. In this respect I plan to put my new chamber to good use as I continue my own marathon training. Toys and books can be taken inside. Other areas in which significant benefits have been noted are fatigue and pain, whether chronic or acute. Of equal interest are the benefits noted in people suffering from neurological conditions. In autism, benefits have ranged from mild to dramatic and commonly include improved eye contact, increased responsiveness, more appropriate behavior and better overall function. Equal benefits have been noted in children suffering from focus problems and/or hyperactivity. In all cases benefits are seen with repeated sessions. Once it is known that the chamber is tolerated, for long-term benefits a minimum of ten sessions is needed, and the optimal number of sessions may be as many as fifty done at high frequency such as on a daily basis Monday through Friday. At that point treatment can be suspended and possibly a second boost a few months later can help even more. 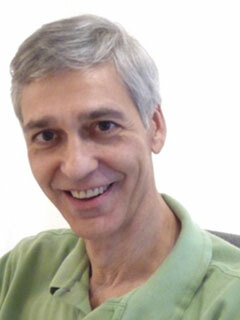 Dr Volpe is constantly in touch with patients in the chamber using a walkie talkie to ensure your safety and comfort. A very interesting and comprehensive summary of research and testimonials can be found here: http://www.drneubrander.com/dev/index.html. For further information or to schedule a session please contact my office. Is breast cancer being over-diagnosed? Flu shots: to vaccinate or not to vaccinate?